From legendary frightmaster Stephen King and 3-time Oscar-nominated director Frank Darabont* (The Shawshank Redemption, The Green Mile) comes "one of the scariest King films since Stanley Kubrick's The Shining" (Tasha Robinson, The Onion A.V. Club). After a mysterious mist envelopes a small New England town, a group of locals trapped in a supermarket must battle a siege of otherworldly creatures...and the fears that threaten to tear them apart. 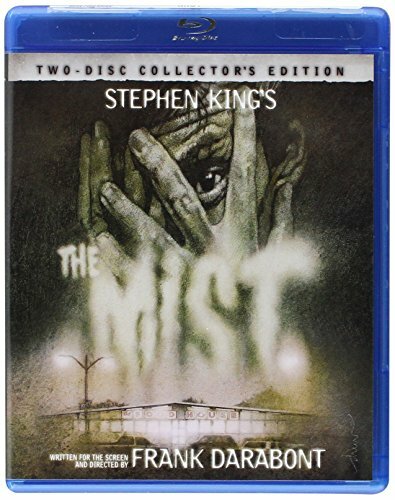 Starring Thomas Jane (The Punisher) and Oscar winner* Marcia Gay Harden (Mystic River) in one of the year's most talked-about performances, The Mist is riveting, with "tension like an ever-tightening clamp" (Colin Covert, Minneapolis Star Tribune). This product may be shipped with different cover art (the multiple types are shown here), but the discs are all identical in content.